The PA's official television is continuing to incite against Israelis, even as efforts to achieve peace continue. The Palestinian Authority’s official television is continuing its campaign of incitement against Israelis, even as American efforts to achieve peace are ongoing. On July 29, PA TV aired a film in which PA Arabs are seen as they unite to beat Jewish residents of Judea and Samaria. The film was translated by the Middle East Media Research Institute (MEMRI). The film shows a group of Jewish residents who are depicted as bullying a PA shepherd, beating him and threatening him with weapons. A group of PA Arabs then get together to hit back at the Jewish residents, beating them up and cutting off their side-locks. A few weeks ago, a cartoon aired on PA TV and translated by MEMRI showed an anti-Semitic depiction of the battle between the Jews of Medina and Muhammad. In the cartoon, the Jews are shown conspiring with the devil, and portrayed in various negative stereotypes. Palestinian Media Watch (PMW) reported Tuesday on an official Fatah Facebook page that is celebrating murderous terror attacks on Jews, in a list encompassing decades. 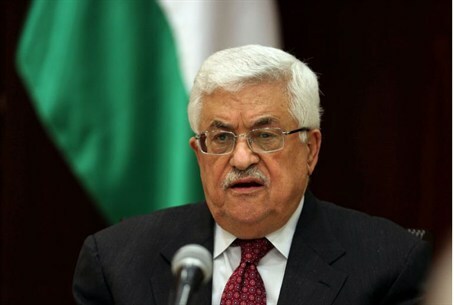 Fatah is headed by Mahmoud Abbas, who heads the PA with which Israel is currently conducting talks. Among the celebrated attacks was the most lethal terror attack in Israel's history: a 1978 bus hijacking in which 37 civilians were murdered. The page's administrator also praised the infamous "Munich Massacre" during the 1972 Munich Olympic Games, in which 11 Israeli athletes were murdered.